DALLAS, Dec. 3, 2018 /PRNewswire/ -- Global sports entertainment leader Topgolf® has expanded its partnerships portfolio by adding The Coca-Cola Company as an official beverage partner. Topgolf guests now can enjoy more than a dozen Coca-Cola products in all of its 46 U.S. venues, as well as at Topgolf Crush events and through special partnership activations. In addition to Coca-Cola, Topgolf will serve Coke Zero Sugar, Diet Coke, Sprite, Fanta Orange, Barq's Root Beer, Minute Maid Light and vitaminwater zero. Guests also will be able to order Gold Peak Tea, Dasani, smartwater, Topo Chico and Simply juices. "Few brands can put a smile on a person's face like Coca-Cola beverages can. We're proud those moments of happiness will now be created at Topgolf," said Brian Radics, chief marketing officer at Topgolf. "After all, Topgolf is in the business of bringing people together for great times. Coca-Cola is an ideal partner to elevate the Topgolf shared experience with our guests." As one of the world's most iconic beverage companies, Coca-Cola has a long history of supporting and partnering with major events, sports organizations and activations around the world. With Topgolf quickly becoming one of the most popular brands in the sports and entertainment industry, Coca-Cola has committed to bring the Topgolf fan experience to new heights. "We are excited to welcome Topgolf to the Coca-Cola Family and share our passion for refreshing sports fans and enhancing their entertainment experience," said Andy McMillin, chief marketing officer of Coca-Cola North America Foodservice and On-Premise. "We look forward to leveraging our brands, programs and joint marketing activities to create unique experiences for Topgolf guests." Topgolf and Coca-Cola will kick off the partnership with weekly College Nights, an experience for college students to enjoy Topgolf with special benefits. Beginning in 2019, Topgolf guests can participate in Coca-Cola game integrations inside World Golf Tour with a chance to win exclusive prizes and experiences from Coca-Cola. In addition, Topgolf will be featured in Coca-Cola's popular Sip & Scan program which will give Coca-Cola fans access to special offers at Topgolf. 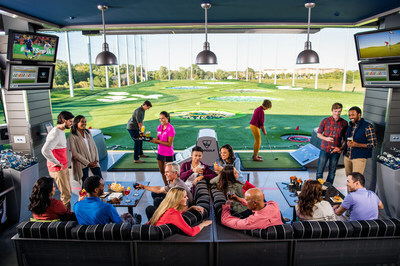 To learn more about the Topgolf and Coca-Cola partnership, as well as other brand integrations, visit www.topgolfmedia.com.